Personalized slate coasters are a beautiful home accessory and make a great gift for any occasion. Enhance the look of your kitchen or living-room with a very fashionable set of 4 slate coasters. 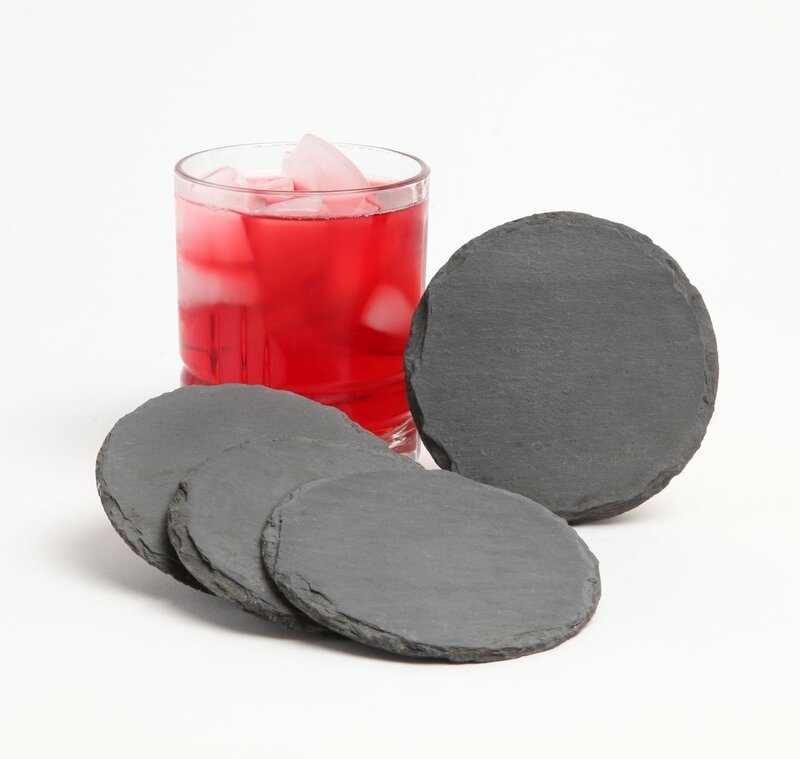 Slate is a natural material for coasters because of its ability to withstand a range of temperatures; it is ideal for both hot and cold beverages. A slate coaster absorbs moisture and will keep your drink from pooling; the coaster then dries as the water evaporates. 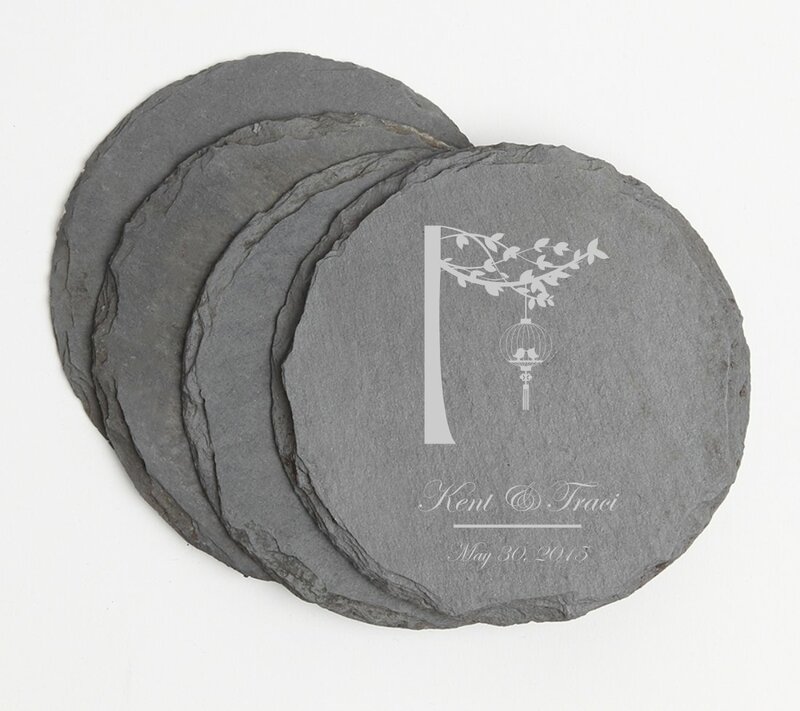 PRODUCT INFORMATION-Each slate coaster in this set of 4 is naturally edged and measures 4 x 4 x .125 inches. 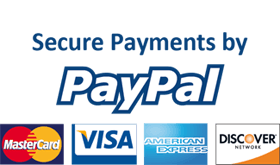 Black felt is used as backing to protect furniture and counter tops. No two pieces of slate are the same, slight markings and imperfections are to be expected with all natural products. CARE-Hand wash with soap and water.